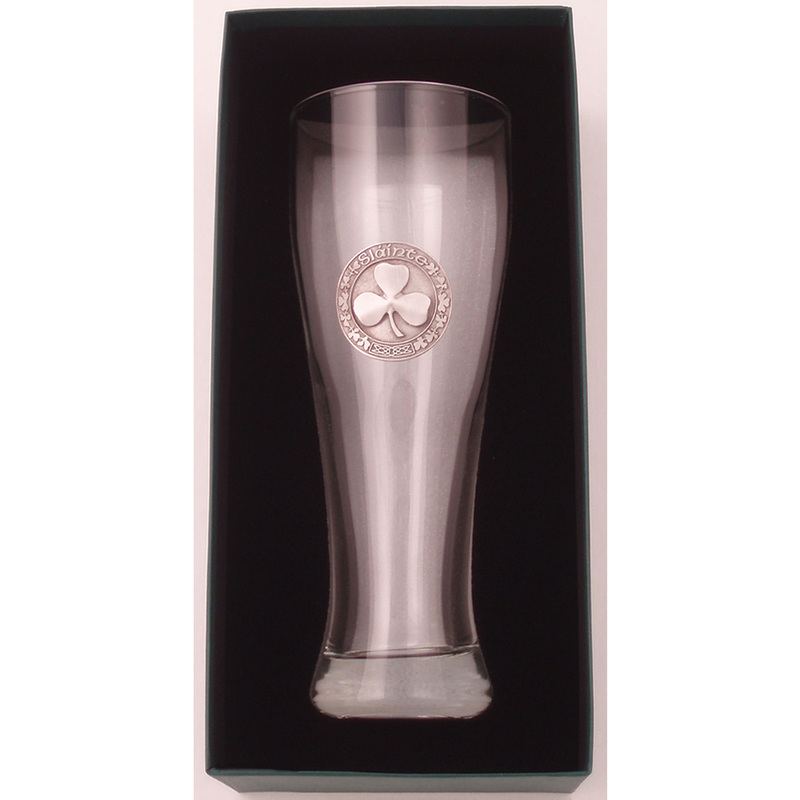 Pair Mixing Glasses / Pewter Finish Tree of Life – The Robert Emmet Company Inc.
Set in a sumptuous presentation box (as shown on Claddagh and Shamrock style sets), nesting in thick foam with clear cover. 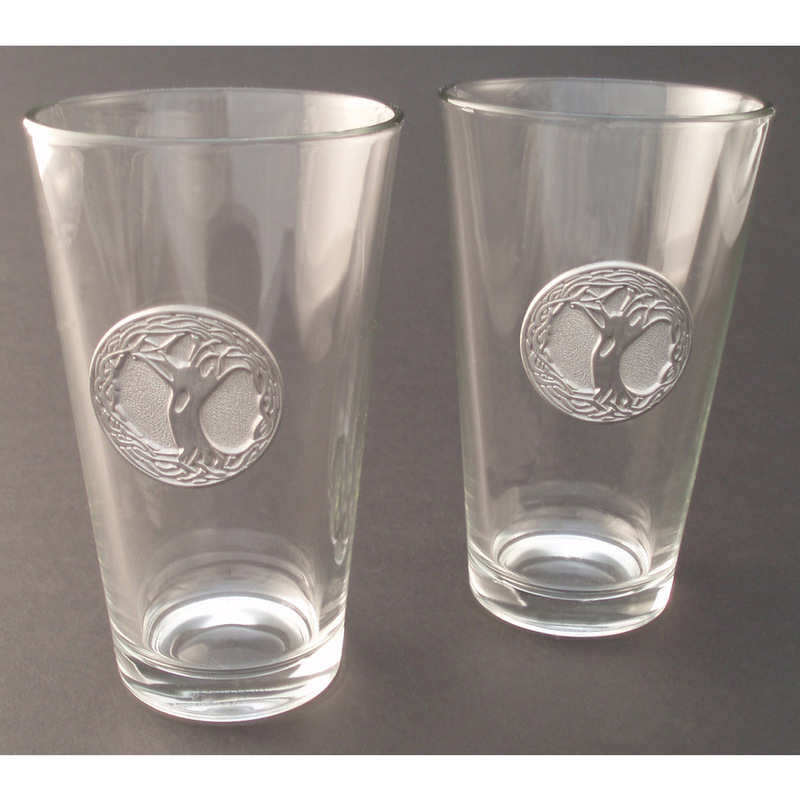 Pair of 16 Oz. 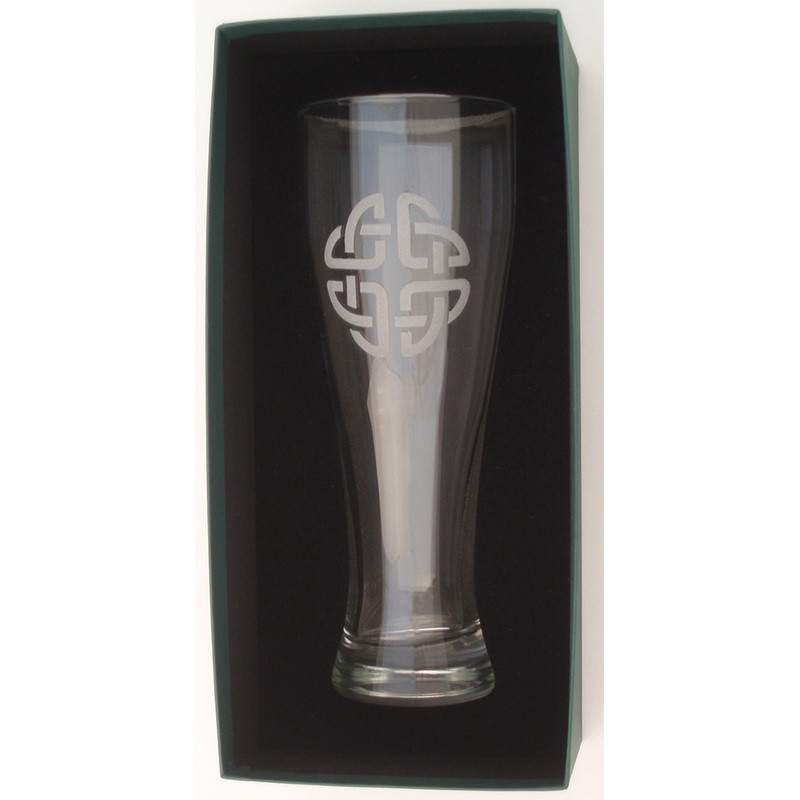 “Mixing” glasses, the same style as found in many Irish pubs. 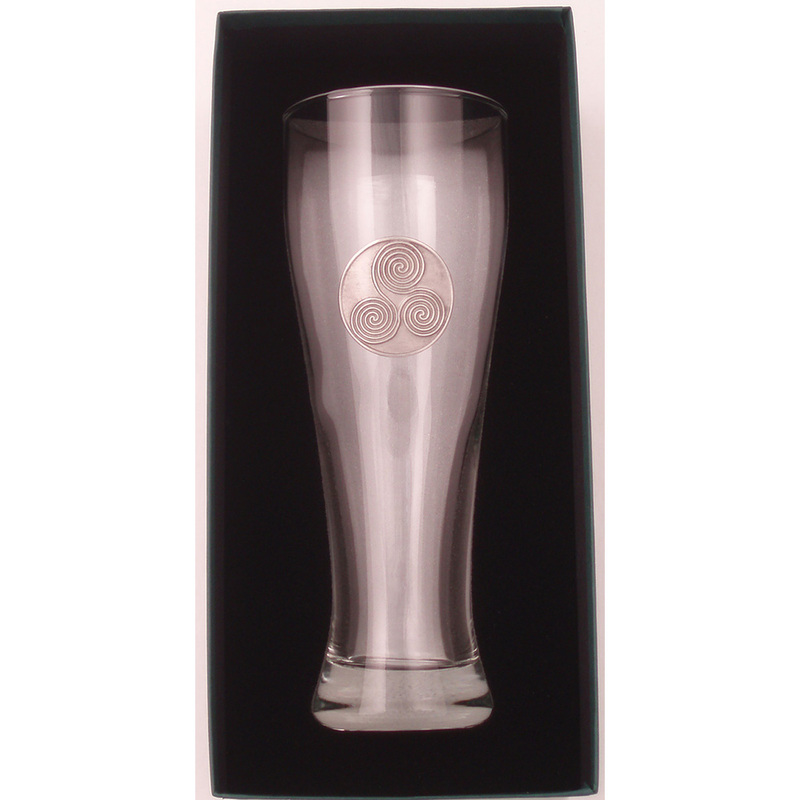 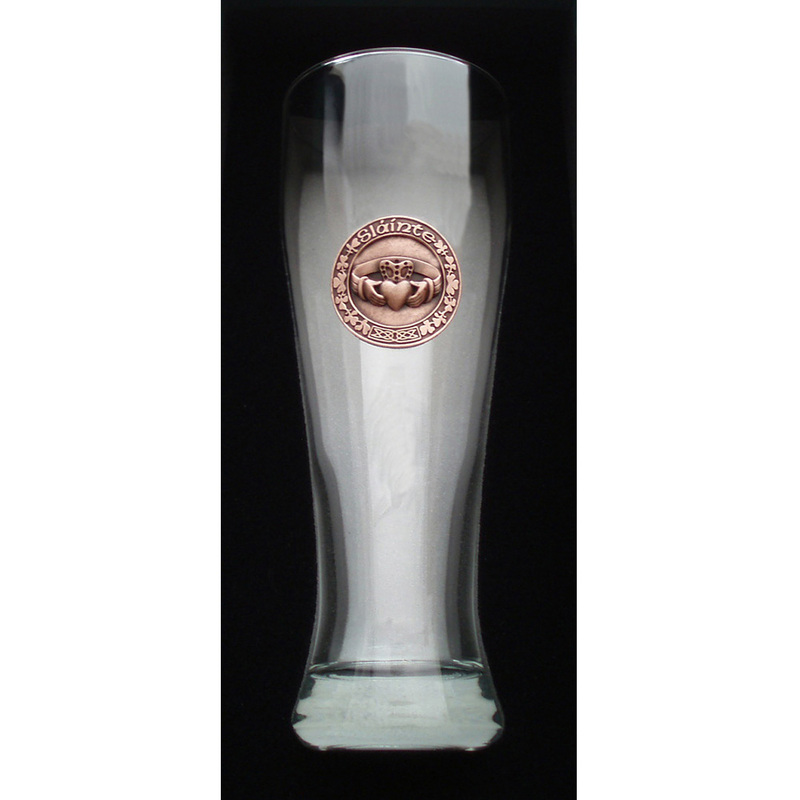 Features fine Antique Pewter medallion attached to each glass.